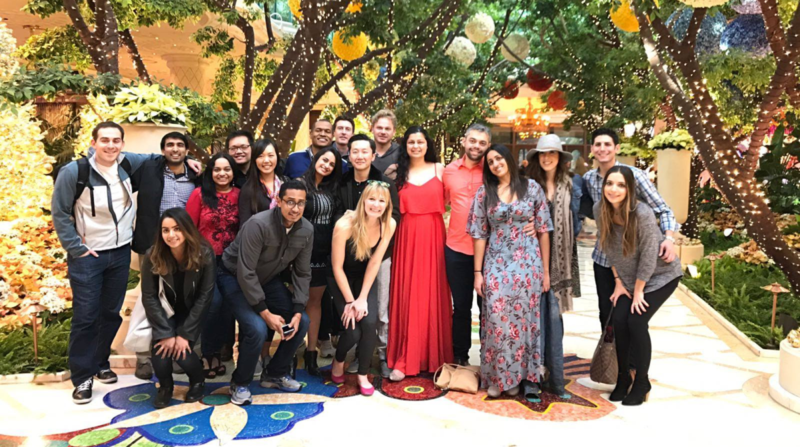 Wharton San Francisco student Kali Bhandari, WG’18, has found plenty of ways to advance her interest in social impact and to bond with her EMBA classmates. When you ask Kali Bhandari, WG’18, why she is interested in social impact, she says that she is part of a “large movement” in the Wharton MBA Program for Executives in which students want to make a bigger difference beyond their daily jobs. “We may be doing great things at work, but we want to align all of the areas of our life to make the world a better place. This means finding ways to make a difference at home and school. It’s also a way in which our class bonds in an impactful way,” said Kali, who is global business development lead at Cargill in Minneapolis, MN, and an active organizer of events for her cohort at Wharton San Francisco. 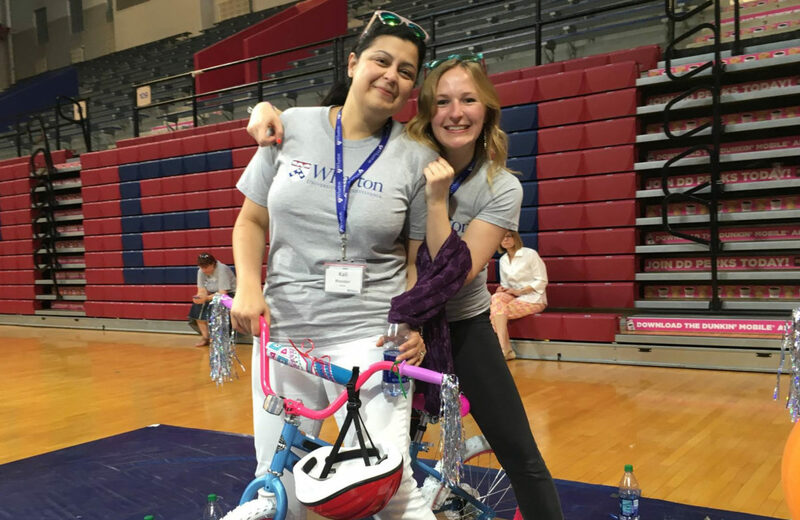 Students have multiple opportunities to give back at Wharton, starting with Orientation Week which occurs on the Philadelphia campus for both when East and West Coast students. During Orientation, students work together to build bikes for the Boys and Girls Club of Camden. “For me, that set the tone immediately. We are here for so much more than classroom learning,” said Kali. Back at her home campus in San Francisco, she has explored other social impact activities, such as the Wharton Social Impact Conference. “When I was looking at EMBA programs, I loved that Wharton San Francisco EMBA students host this event every year. I got involved in my first year to organize a panel for women executives in the social impact space, and I am currently the co-chair of the conference,” said Kali, noting that this year’s conference will be held in the fall. And when East Coast students spent a week on the San Francisco campus for a combined class session, Kali organized a friendly tournament to give students from each coast a chance to get to know each other better outside of class. The events ranged from Olympics-inspired games to a competition to assemble the most toiletry kits for Project Open Hand. “It was awesome to harness the power of 220 executives and see them compete to fill up the kits. The best part was seeing so many students coming together who think about social impact in the same way,” said Kali. When she’s not organizing social impact events, Kali helps plan other fun outings for her classmates in San Francisco. “We do a lot of weekend trips to places like to Sonoma, Napa, Las Vegas, and Phoenix. It has become a tradition to celebrate the end of each term by going somewhere so that we can relax and spend time together outside of class,” she says, noting that families are always invited on the trips. “We are all here for an education, but there is a natural curiosity among students to find out as much about each other as possible and an openness to making connections. I enjoy planning opportunities for our class to spend time together,” explained Kali. Another way that Kali is helping her classmates get to know each other is through the “Humans of Whartytwo” Instagram series. Inspired by the “Humans of New York” site, this website is focused on what drives EMBA students at Wharton and makes them unique. “I was inspired by the fact that I live in Minneapolis and can’t see my classmates every day. I thought this would be a great way to get to know everyone and find out why they are doing this program. By sharing our stories, we can start to create bonds,” she said. Kali adds that there are always group dinners planned during class weekends as well as staff-organized events like baseball games and trolley tours. “There are a lot of opportunities to have fun together!” she says, noting her class has had multiple theme days like Ugly Sweater day, Pokémon dress-up day (Halloween), and Green day (St. Patrick’s Day). “People in this program are unbelievably warm and welcoming. I saw this dynamic during my campus visit as an applicant and it is true in my class. I feel like I’ve come home when I’m at Wharton,” she said.